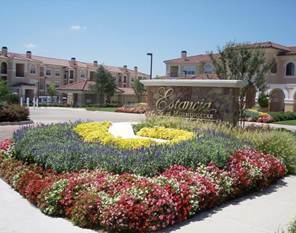 On October 11, 2012 Venterra purchased Estancia at Morningstar Apartments, a Class A garden-style apartment community located in The Colony, 30 minutes north of Downtown Dallas and 15 minutes north of Dallas’ Galleria District. The Colony sits amidst some of north Dallas’ fastest growing and most affluent neighborhoods. Growth in the area has been spurred by the close proximity to the Legacy Business Park and many corporate headquarters. Estancia is also well positioned in the Lewisville Independent School District, a highly ranked school district in north Dallas. Originally built in 2003, Estancia features an attractive amenity package that includes a resort style swimming pool, a clubhouse, movie theater, fitness center, business center, playground, and a tanning bed. Estancia sits on approximately 15 acres that are near the shores of Lake Lewisville which offers visitors the opportunity to camp, fish, hike, boat, swim, or just relax in a scenic lake setting.